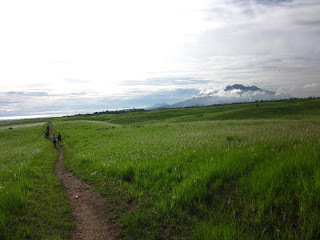 Part of my adventure list was to join a 50KM trail running event and finish it within cut-off time. 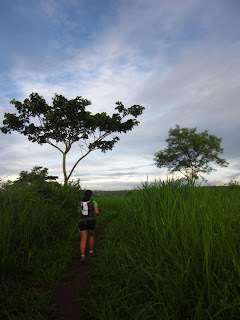 Last Saturday, I took a shot at this dream when I joined the 57 KM Valley Trail Challenge in Nuvali organized by Front Runner Magazine. What I originally signed up for was only for 50KM but the organizers added 7KM to the route as freebies. I wish I can tell you that it was a victorious attempt but unfortunately – all that mental training, protein loading and running before work weren't enough for me to make it all the way through. I’m still smiling though because I was able to finish 34KM. That’s the farthest I’ve gone in a trail running event ever since I discovered the sport back in 2009. Hooray! This only means that I will be in the look-out for future ultramarathons, continue training and will never give up until I finally finish one! So how does it feel to run 34KM?! I feel great - except that I’m feeling some pain at the top of my left foot. It never hurt that much before. Perhaps it was because of my shoes. Thank God, I have no chafing in any parts of my body because I applied tons of petroleum jelly on the key areas - the inner thigh, chest, shoulder blades and my feet. I put some the night before and on the morning of the run. The energy gel I used, Stinger was great. It helped suppressed hunger and gave me enough energy for 34KM. I did not experience muscle cramps as I stretched appropriately before the run. I also snacked on salt a couple of times which according to my nurse friends prevent muscle cramps. I would like to acknowledge sir Jonel Mendoza of Front Runner Magazine and to the rest of his team for this well-organized running event! Thank you for introducing me to Ultramarathon. :) I hope you will come up with another trail running event. Thanks to the sponsors for supporting this event. I don't have personal sponsors but I would like to mention them because they helped make the event successful. 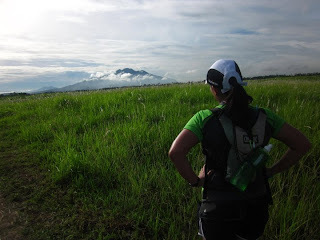 Let's see, we have one of my food/running buddies - Mariel of Nathan, my good friend from college - Diana (Nature Valley), Salonpas, Pocari Sweat (you're an amazing drink!) and R.O.X. (love you!)! If I missed any, that was unintentional. Please continue supporting these events as it's encouraging people to live a happy and healthy lifestyle! Mwahhhh! Ohhh - and thanks to the people of Asiatel Inn. This is where we stayed. Rates are cheap, the rooms are clean and it's only 5 minutes away from Nuvali by private transportation. 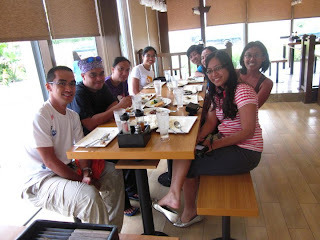 Pig-Out in Solenad...Sorry no food pics, we finished everything before anyone remembered to take photos! Running your first ultra marathon? I found an interesting article from Runners World that helped me. Click here.